I could feel it rising in my chest – that feeling you get when embarking upon a new adventure, or returning to a place that has buried itself deep in your heart. For me, it was a little of both. It was my first time back on the Isle of Skye in three years, and it was almost like I was seeing it again for the first time. As we pulled around a bend in the narrow road and the Old Man of Storr sat like a sentinel on the horizon with a background of wispy cloud and blue sky, my heart gave a flutter. I was back in Scotland. I was back to Skye. The song lyrics above came to be tied to my second visit to this Scottish isle. I caught myself humming it in the shower; as we climbed to a waterfall; as I sat on a ferry and bid the island farewell. You may recognize from the opening credits of “Outlander” (and, if like me you binge-watched the entire first season in one weekend, you can probably sing it, too). The song actually has more to do with the Jacobite uprisings in Scotland than the Isle of Skye itself, but the ethereal, lullaby-like tune will forever conjure for me images of wind-swept coastline and the incredible landscapes that make up my favorite part of Scotland. I remember the moment I fell in love with the Isle of Skye. It was a rainy August morning. Chilly enough that I was wishing I had packed another layer for Scotland in the summer. My feet were getting wet as I walked through the grass in my Teva sandals (again, inappropriate for Scotland in summer), but the wet and the cold weren't really bothering me. Because out in front of me was the most magnificent view. I was standing atop the Quiraing and looking out over the Trotternish Peninsula. 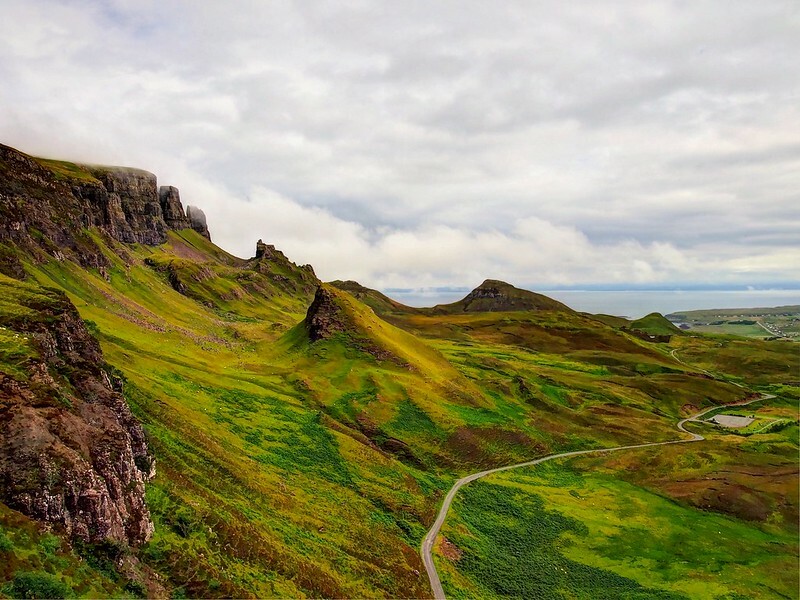 It was a million different shades of green beneath a typically gray sky (there's a reason that Skye is also often referred to as “the Misty Isle”). And, to me, it was perfect. My second visit to Skye, therefore, had a lot to live up to. I was excited to share my favorite part of Scotland with my mom, and yet a tiny part of me worried that it couldn't possibly live up to my romanticizing of it over the previous three years. But I needn't have worried. The sun decided to shine for three whole days in Scotland and the fairies were once again working their magic. 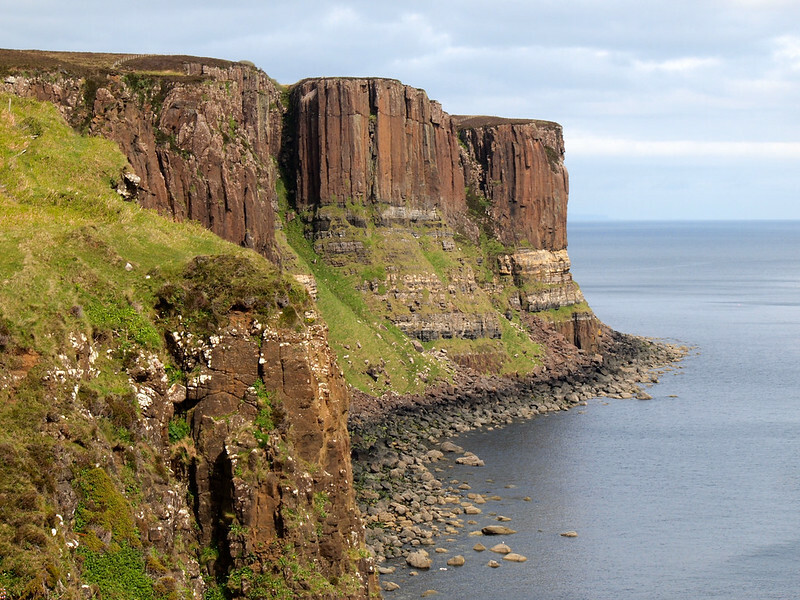 The Isle of Skye, like the rest of Scotland, has a long a varied history. Its name, “Skye,” comes from the old Norse for “cloud island,” reflecting Scotland's Viking past. It was also home to some large Highland clans for centuries, until post-Jacobite rising laws disbanded the clans and relocated many Highlanders to other parts of Scotland, the UK, and beyond. Skye also has (in my opinion) some of the best scenery in all of Scotland. The Cuillin Hills rise up in the middle of the island, surrounded by heather-covered moors that lead down to sea cliffs and rugged beaches. Skye is a wild kind of beautiful that I hope is never tamed. If you're driving to Skye from the Scottish mainland, your route north through the island will take you past a beautiful old stone bridge – the Sligachan Bridge, close to the Black Cuillin mountains. There's a legend that goes along with this bridge that says the mountain-fed waters that run beneath it are enchanted. It's said that if you hold your face in the water for a full seven seconds, you'll be granted eternal beauty. Portree is the “capital” of the Isle of Skye. 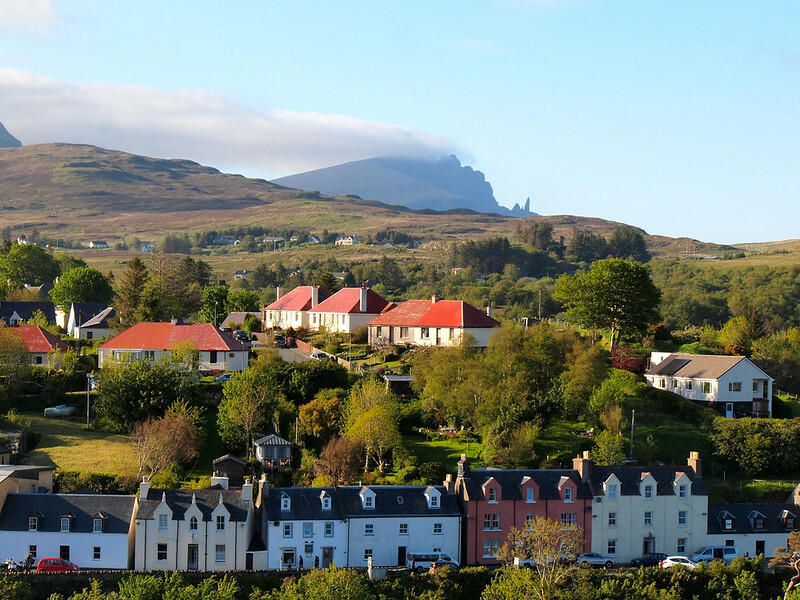 It's one of the larger cities on the island and makes a good base for exploring the Trotternish Peninsula (the most popular part of Skye). It also has a gorgeous harbor with colorful buildings and some fantastic seafood restaurants. (Even the takeaway fish and chips shop is amazing.) For the best views, walk up towards the hospital and take a trail through the woods to an old watchtower. 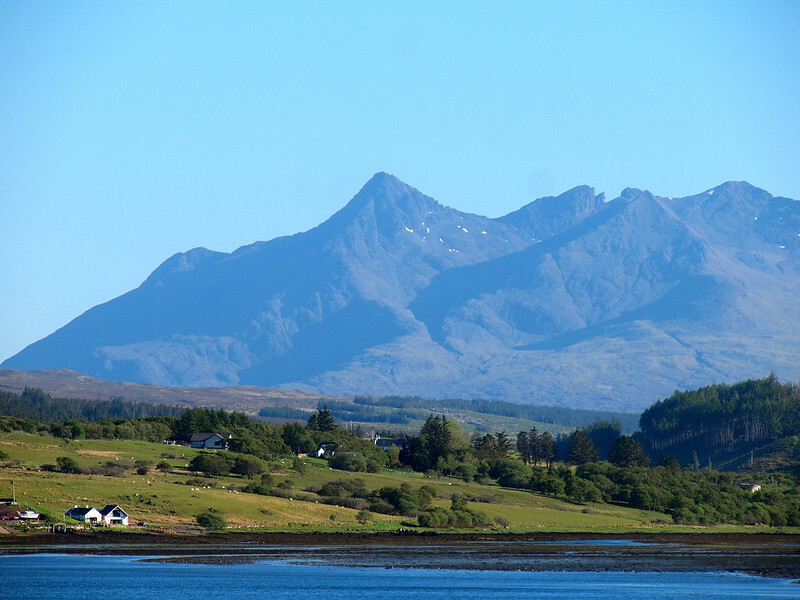 On a clear day, you can see the Old Man of Storr and the Cuillin Hills from the top of the tower. There are a bunch of different legends about this pillar of stone. One suggests it's the thumb of a giant buried beneath the Storr. My favorite, though, is that of a little old man who used to walk up to the Storr frequently with his wife to look out at the ocean. After his wife died, the old man walked up to the Storr one last time and found himself wishing he could stay there forever because it was the only place he could remember his wife and be happy. The mischievous fairy king heard the old man's wish and granted it, turning him to stone. 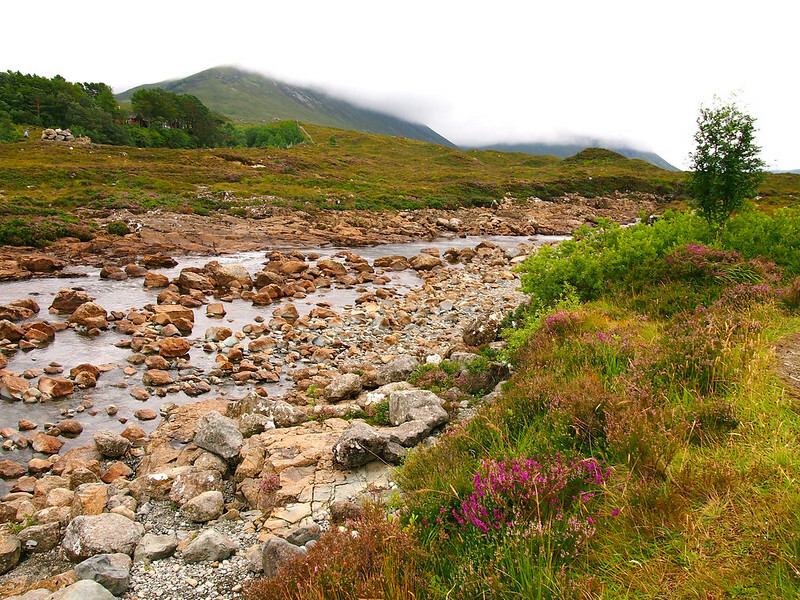 Whichever legend you like best, there's no denying that this part of Scotland feels magical. 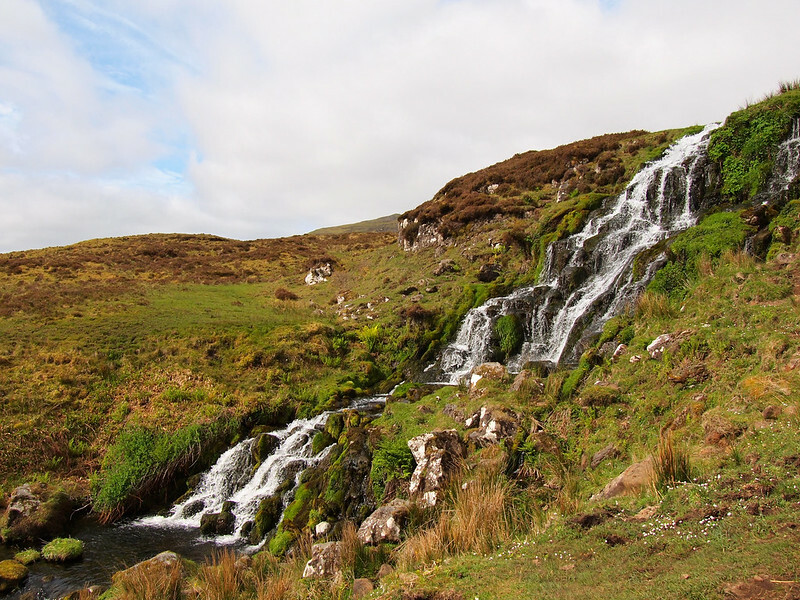 Within sight of the Old Man of Storr, Bride's Veil Waterfall is a popular photo stop along road A855. 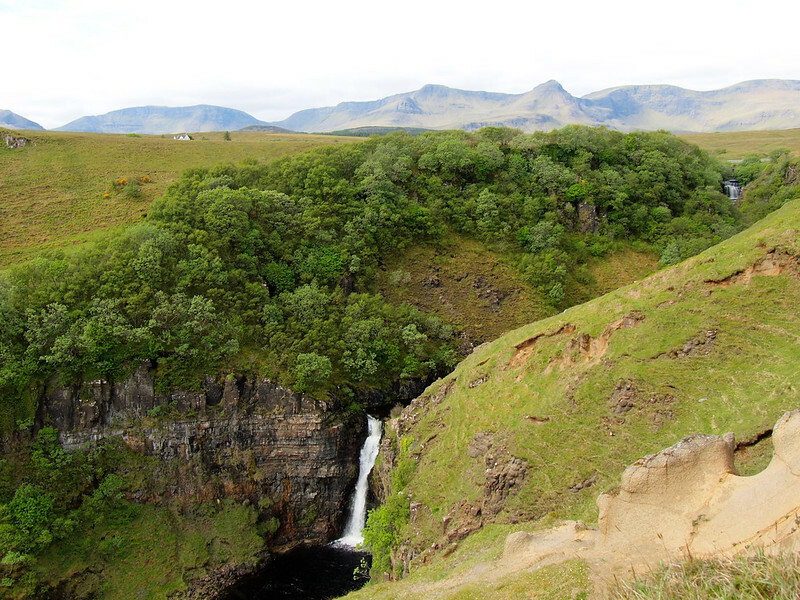 If you climb through the boggy grass alongside the waterfall, you'll have a fantastic view of the Storr. It's also supposed to be lucky if you drink from the falls. You can't see this waterfall from the road. You have to park in a small lot, go through a wooden gate, and walk along a worn trail in order to see Lealt Falls, which faces the sea. 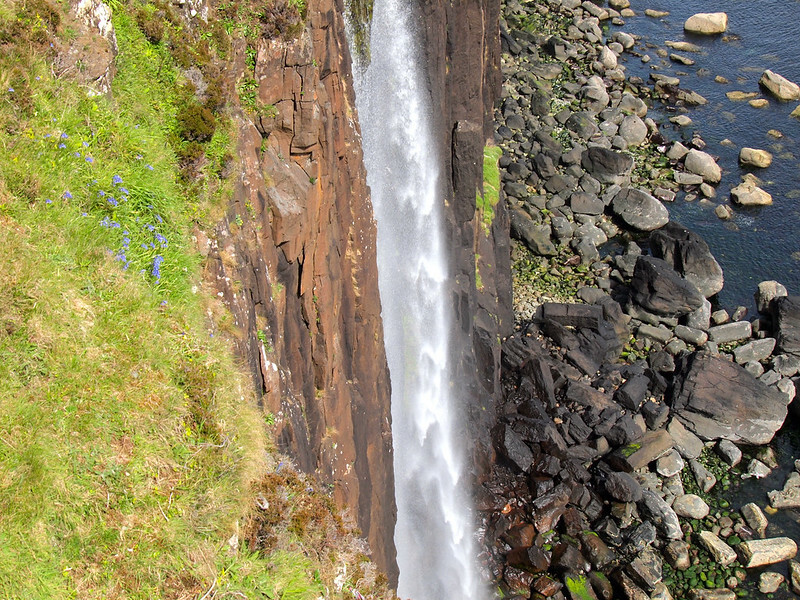 On my first trip to Skye, I hiked down to the waterfall with my tour group. On this second and third visits, I just sat at the top of the cliff and enjoyed the view. If there's one fashion statement that Scotland is known for, it's the kilt. And this rock formation on the coast of the Isle of Skye looks ridiculously similar to a pleated kilt. It's of course just rock, but looks pretty cool, especially when you get nearby Mealt Falls in your shot, too. When you near the top of the Trotternish Peninsula, there's a narrow, nearly one-lane road that cuts across the peninsula. 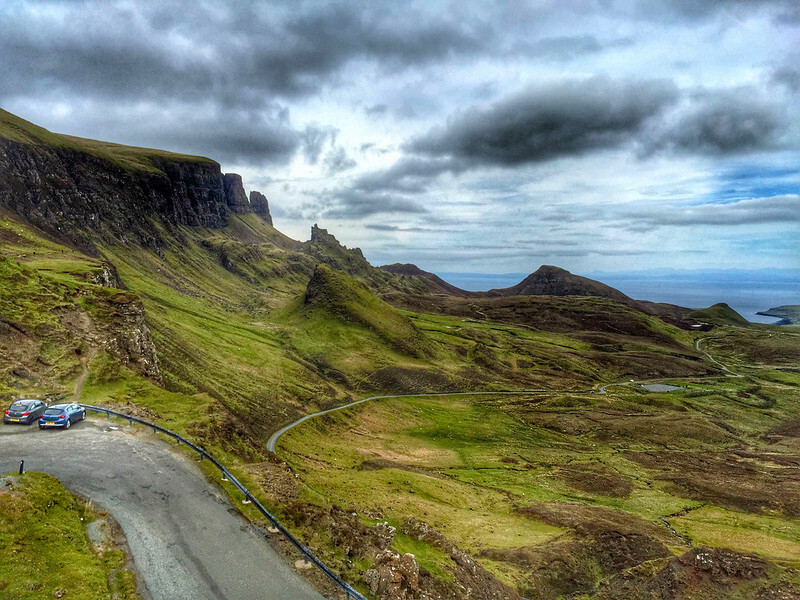 It's called the Quiraing Road, and cuts through some of the best landscapes on the Isle of Skye. The deep valleys and craggy cliffs here were formed thanks to great landslips, and there are rock formations with names like The Needle and The Table and The Prison. The Quiraing can be incredibly windy and wet, but it was here that I originally fell in love with Skye. The Fairy Pools really do deserve their magical name. This site consists of shallow pools and small waterfalls formed as the River Brittle flows down from the Black Cuillin mountains. I didn't get to see this spot for myself until my third trip to the Isle of Skye – and let me tell you that two hours here isn't nearly enough! First, you need to hike from the parking lot to the beginning of the pools (a little over 2 kilometers), and then you need to follow the river up toward the mountains to see all the pools and waterfalls. The Fairy Pools can be crowded during high season, but I still really think they're worth visiting. Located on the northwestern side of Skye, Dunvegan Castle is the oldest continuously inhabited castle in Scotland. It was the seat of the chiefs of Clan MacLeod for more than 800 years, and today is open to visitors. 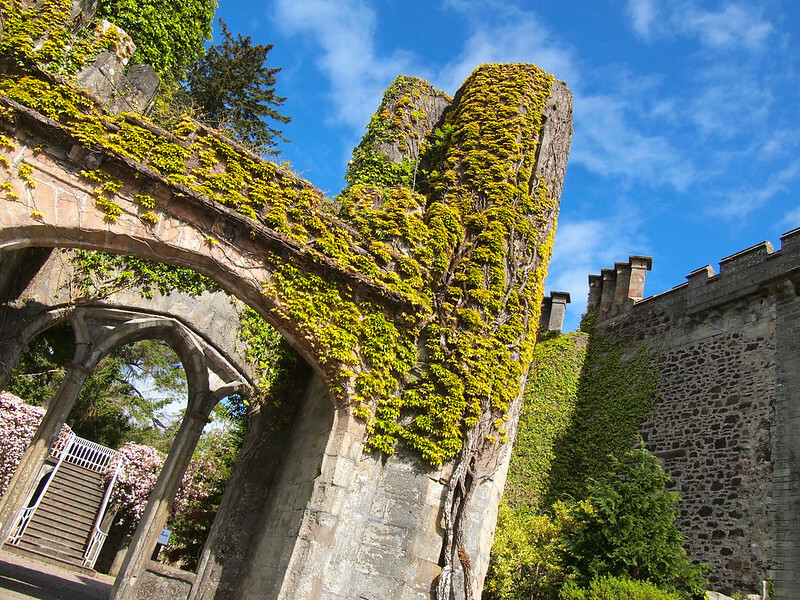 On display inside the castle are beautifully furnished rooms, artwork, and clan treasures. One of these treasures is the Fairy Flag – a tattered banner that is said to have been given to the MacLeods by the fairies and that, when raised in battle, would always ensure the clan's victory. The castle also has acres of formal gardens, which both my mom and I really enjoyed wandering through. 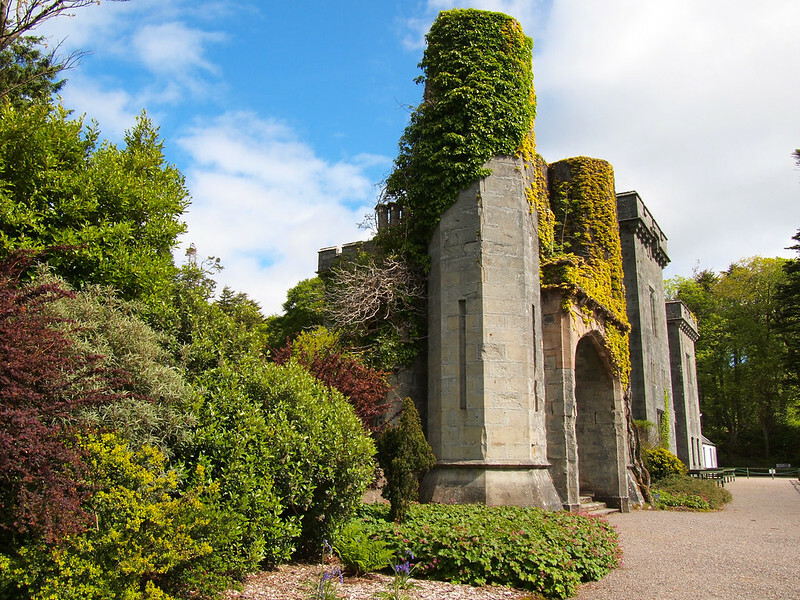 In stark contrast to the seat of Clan MacLeod, Armadale Castle in the southwestern corner of the Isle of Skye is nothing but a former shell of the grand mansion it once was. Armadale is the former home of Clan MacDonald. A great mansion was built here in the 1790s, but was damaged by fire in 1855 and eventually abandoned in the 1920s. The gardens at Armadale are maintained by the Clan Donald Skye Centre, however, which also operates the Museum of the Isles. If you're waiting to catch the ferry from Armadale to Mallaig, spending an hour or so in the museum might be a good use of your time. The museum traces the history of Skye and the Highlands from the Vikings through the Jacobite risings to the present day. There's a lot to read here, but it's a comprehensive look at the history of this part of Scotland. You really need a few days on the Isle of Skye in order to see everything. I recommend making Portree your base and exploring from there. It makes a good base both for its location, and because it has everything you need including restaurants and a grocery store. – On a budget? Then this friendly, centrally-located hostel is your best bet. – A good mid-range option located right on the main square in the center of town. – If it's luxury you're looking for, this hotel with its great harbor views should be at the top of your list. Have you ever been to the Isle of Skye? *Note: I visited Skye for the first and third times as a guest of Haggis Adventures, and for the second time with Highland Explorer Tours. (Read my review of that experience here.) There are also a few affiliate links in this post. Wow, you’re right, the scenery there is stunning – great photos! Thanks! 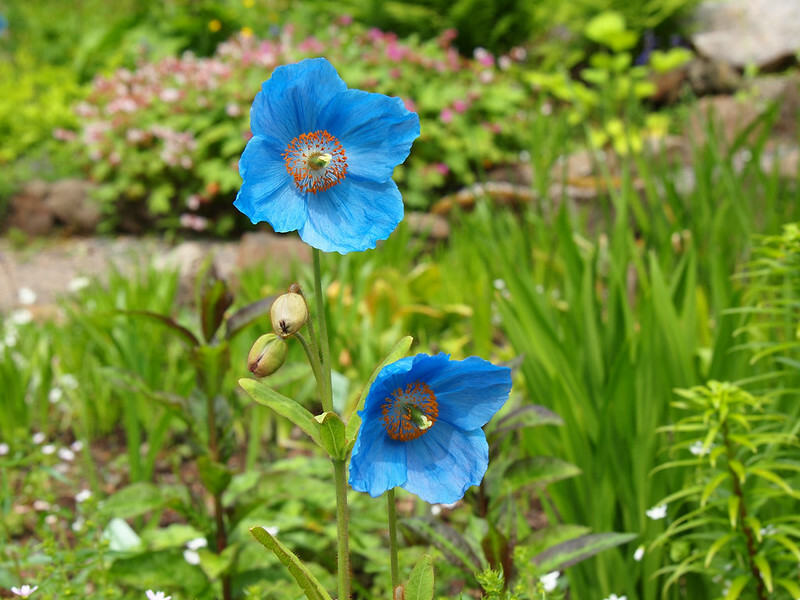 The sunshine definitely helped – but it’s gorgeous without the sun too. I still can’t wait, it has been on my list for so long-mainly because of my obsession with Outlander! I’m also in the binge watching category, I usually hate movie/tv adaptions of my favourite books because they get it so wrong but Outlander has been near perfect! I’ll definitely be going to Skye that is for sure! It seems like such a magical place which is one of the reasons that drew me to Scotland in the first place. I’m sure Scotland will still be amazing, though. I’ve never been disappointed! And if you’re an Outlander fan, you’ll definitely love it! Wow, your pictures of Skye are so, so, so beautiful. I love all the suggestions you outlined here. When I did Haggis Adventures, we only spent a day at Skye. I’m dying to return and see more of the island. It’s truly like a scene straight out of a fantasy novel. I fell in love with Skye on a Haggis trip! But yeah, I’ve been dreaming of going back ever since! Next time, I want to have my own car and spend at least a week just on Skye. It’s tiny, but there are so many BIG views! It’s such a special place! Definitely one that I know I’ll keep going back to again and again. Such an amazing post! Your photos are beyond beautiful. It’s been years and years since I’ve been to Scotland, and I’m dying to go back. I also did the binge-watch and binge-read thing with Outlander, and it reminded me how much I loved the Highlands when I first visited Scotland. Your post only added to that. I’m a big fan of your blog. It is consistently thorough, interesting, and entertaining. Great work! Great post and awesome shots! We were just there in July and it was amazing. There is so much to see and do, we will definitely be going back again as well! 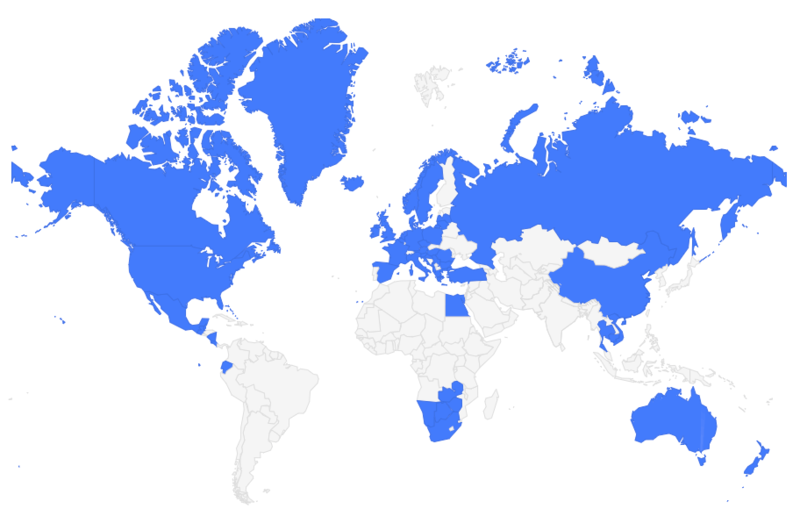 It’s crazy because it really is such a tiny island. And yet there’s so much to do/see! I loved reading about your return to Skye. We also returned this year, after a much longer absence. This island is amazing and we can’t wait to return. I have given you the link to one of our days in Skye when we visited Neist Point. I think you will enjoy reading about that too. 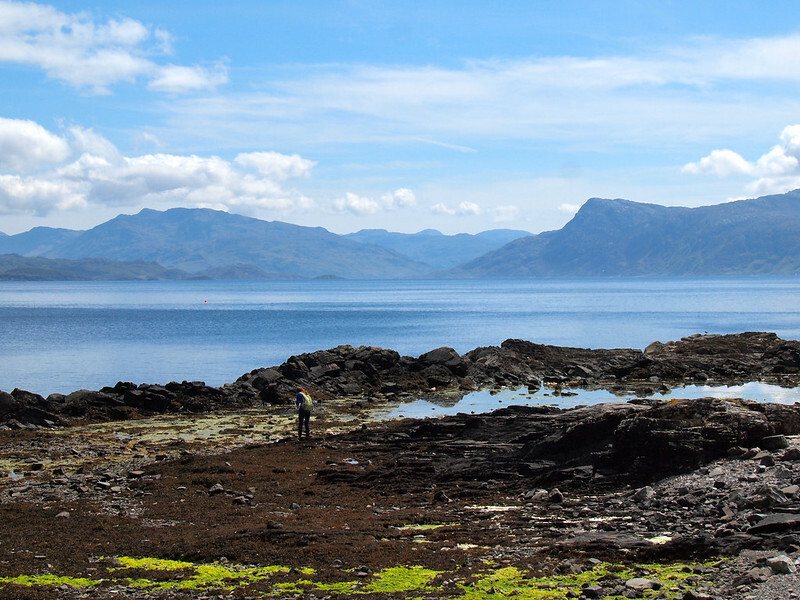 If you have not seen this part of Skye, you might consider visiting it when you return! Definitely will need to put that on my “next time” list! Great photos! I’ve wanted to go to Skye for years, and despite several holidays in Scotland, including one in Torridon, just on the mainland near Skye, I’ve never quite made. It’s definitely on the list of many places in the UK I want to visit when I return. I also love that song, I’ve found myself humming it away, and I binge watched Outlander too, I’ve been excited about the series ever since reading the book a few years ago. Ahh, that Jamie Fraser! I actually haven’t read the Outlander books yet, but my mom has – she got me hooked on the show! It does a great job highlighting the Highlands and the old clan way of life. Love it! Such stunning scenery! I can’t wait to visit, thinking of doing it next year if we can fit it in – love the abandoned castle too. I hope you manage to get there, Emma! It’s so amazing!! That said, I DO love Outlander and have Skye on my list of places to get to asap! Yup, they’ve definitely changed the lyrics a bit for Outlander. And I was going to mention that the song was really about the Bonnie prince, but decided not to since it’s not really attached to Skye. I listened to many different versions of that song while I was there, though! I’ve heard of that documentary, but haven’t seen it. Then again, it’s not like I need to be convinced to go back or see more… haha. So many shades of green, that country looks amazing.Nice post and especially the photos. I have so many pins of the Isle of Skye on my travel Pinterest board 🙂 I was hoping you had made it to the fairy pools (I want to know if they really look like that photo that’s been pinned a million times) but the rest of these places were just as breathtaking. I would LOVE to visit the Isle of Skye! I knowwww I was really bummed that we didn’t get to the fairy pools. I was in a tour group, and our guide said the pools were just too crowded and that he wouldn’t have been able to park (we ran into a similar problem at the Quiraing, with people parked in all sorts of dangerous places along the narrow road!). So, next time for sure. I want to know if they really look like that, too! Such an incredible place and the view looks really calming. No wonder you love to visit Scotland again and again. Scotland is definitely on my travel list and I hope my time to visit Scotland will come soon. Not gonna lie I had no desire to visit Scotland.. hand never even seen a picture of Scotland..until I came across your blog. So thank you for introducing me to Scotland and the Island of Skye Its now at the top of my list of places I want to visit, hopefully one day soon. Also not gonna lie all the photos on your blog are beautiful….your Greece island photos Inspired me to plan a trip to Greece…and thats where im going on vacation 1 month! That’s so awesome that my photos have influenced your travels, Adilah! I’m flattered! I don’t think you’ll regret visiting Greece OR Scotland! This post was so much fun to read! Your passion and excitement for this island is so apparent through your writing, and it made ME want to be passionate and excited about it, too. I’ve never traveled anywhere in the UK, and I think I would just love it so much. I love the rolling green landscapes in your photos, and even the gray skies. For some reason, I actually sometimes really enjoy cloudy places. It was super cloudy and misty when I visited Machu Picchu, and while most people were bummed about it, I thought it felt so much more magical and mystical (just as another example). Thanks for sharing this! Scotland is definitely one of those places where it still feels absolutely magical in the mist and clouds. In fact, it was weird going there this time and mostly encountering sun! I love your take on the Isle of Skye. I’m from Northern England and I like the fact that you have a love for Scotland. I do too. It’s one of my favourite parts of the UK as I go to Scotland quite a lot. I like the wind and cold you see! I have been to the Isle of Skye and I recommend it highly. In fact, as many islands as possible around the British Isles should be visited as they have that distinct something, and still live in fairly rural isolation. Skye looks absolutely stunning! I’ve never been to Scotland, but I’m just itching to visit. You have a beautiful writing style, by the way. Loved this! Oh my word! Love love love! This makes me miss Scotland like you wouldn’t believe! I just got back a few weeks ago with my boyfriend and we loved it! 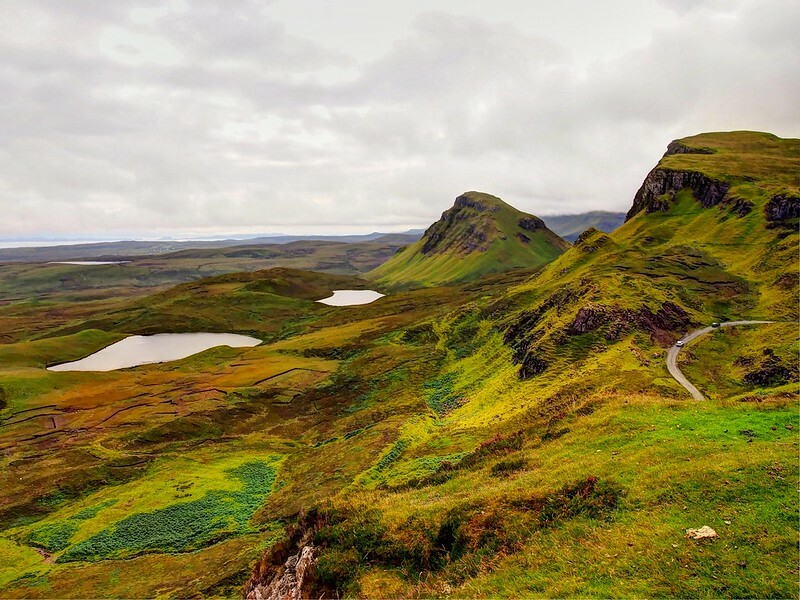 As I was reading through your post I was answering yes and nodding along to all the places you listed, especially the Clan Donald Skye Centre, Old Man of Storr, and Bride’s Veil Waterfall – my favourites from the Isle of Skye! Glad to hear that you share my love for this little island!! I’ve GOT to get to Scotland one of these days! Your pictures are magnificent! Thank you! Scotland made it pretty easy this time around, though – the weather was so great! Doing some later in life trip planning this year and hope to visit Scotland next year if my health issues don’t force a change in expectations. I love the images and your writing as they both reinforce my desire to visit the “land of my grandma Hannah”. I have reviewed a number of tours but have slowly begun to concentrate on making this a railway centric journey. I have plotted out a basic circle beginning and ending in Glasgow where grandma was born and raised (actually Auchenheath). I visited Edinburgh fresh out of college in 1970 as part of a 45 day circle through Europe that included a run up to that city so I am balancing a return stop there with investing a little more time elsewhere. Having great fun researching, expanding my knowledge and my Scottish delight quotient. Great to stumble upon your writings and I just knew there were other great minds in Ohio to pick up the slack now that I have relocated to Lexington, KY or as I say, “South of the big river”. Thanks again for the hard work invested in doing something you love!! Sounds like it’s going to be a great trip! I definitely recommend getting to the Isle of Skye if you can! It’s such a special place. No trains there, unfortunately! This looks so beautiful! 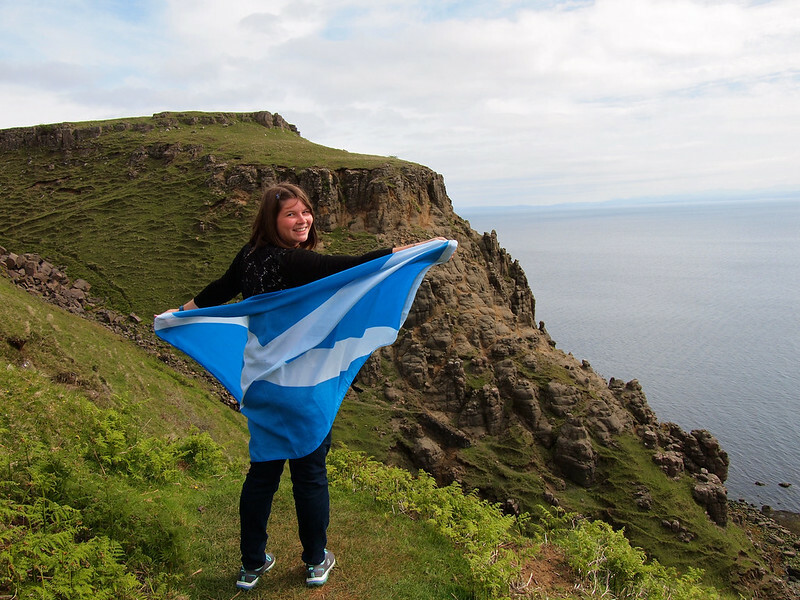 I’ve been to Scotland, but not the Isle of Skye — will have to go one day! Definitely have to go!! As soon as I leave, I start dreaming about going back. As a native of skye it really annoys me that people keep quoting these adapted lyrics rather than the actual lyrics from the original skye boat song i find it pretty offensive that the song is made about a girl instead of the telling of the brutal slaughter of brave scotsmen and the hope of another bonnie prince charlie to lead us to revolution again! I heard quite a few different versions of the song when I was on Skye. I can understand not liking the adapted version, but unfortunately that’s just how artistic license works! They actually adapted an adapted version, anyway (the Outlander song was adapted from Robert Louis Stevenson’s poem, which was adapted from the original Skye Boat Song). The original song definitely tells the Jacobite story better, though, I will agree! But I also think the popularity of Outlander is doing a lot to educate the average person about what happened in the Highlands in the 17400s. Thank you! I miss Skye a little bit every time I leave! It’s such a special place. Great bit of info Akatuki, thank you. My wife and I are going in Sept and spending most of our two weeks on The Isle of Skye. We have not ever been to Scotland, but it was the one place that stood out when we started planning. Would love some ideas for lodging around the Island. Ah, Skye is so great! I’m not sure about spending a whole two weeks there (it’s quite small), but it certainly is beautiful! 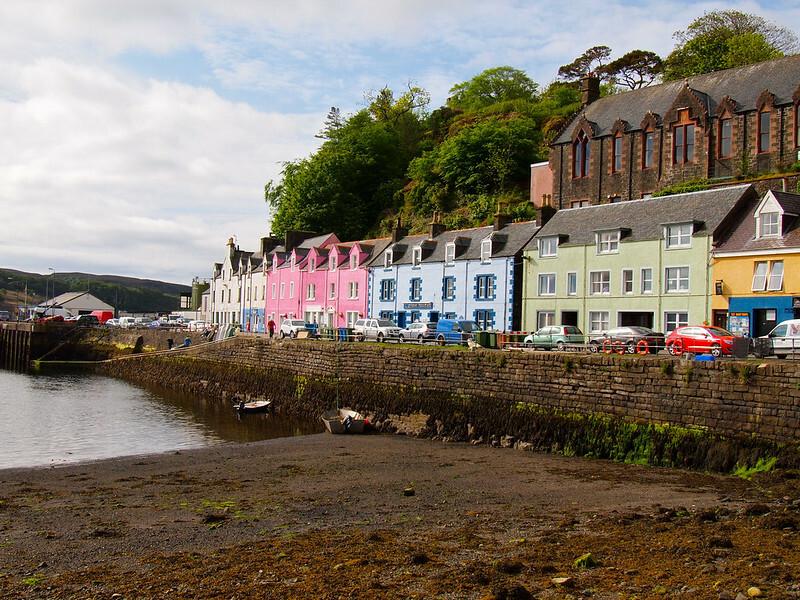 The only lodging I’ve used on the island was in Portree and in Kyleakin. Both have some basic hotels and B&Bs. 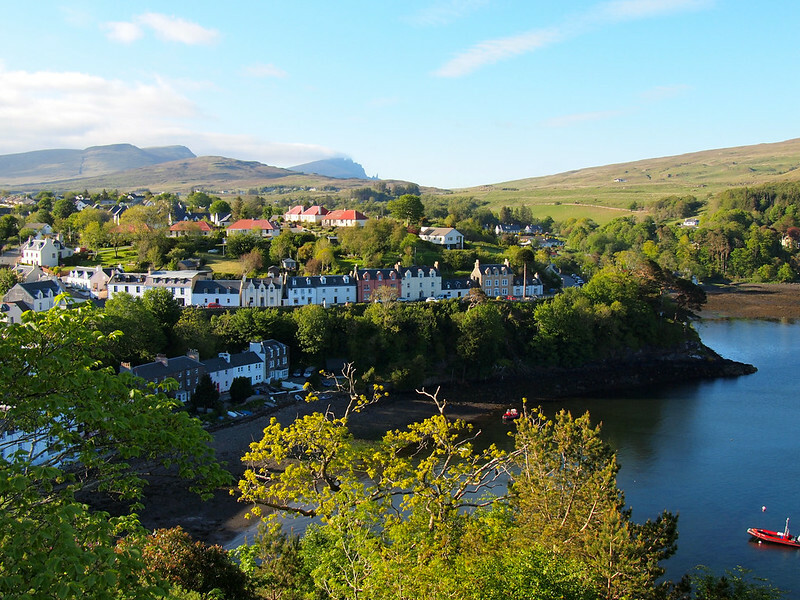 I stayed at the Rosedale Hotel in Portree and really liked the location. Yes! I had to watch Stardust after going there! I don’t think I could ever truly tire of Skye – it’s just so beautiful. We had the most awful weather when we were on Skye – made worse since the weather on the mainland was perfect. I’d really love to go back when it’s not pelting rain. Your pictures are fantastic!! The first time I was on Skye it was rainy and foggy – couldn’t even see the Old Man of Storr! However I still thought it was beautiful! Yes, this is really my name. I was named for the Isle and finally traveled there with my husband last summer. Two things I would add – the Talisker Distillery is a fun tour, and if you can, try and stay at the Glenhaultin Bed and Breakfast. Easily one of the nicest places I’ve ever stayed. Gorgeous breakfast every morning, amazing views of the Loch Snizort, extremely comfortable rooms. It’s a beautiful name! And thanks for the extra suggestions – there certainly is plenty to do on such a little island! How do you get around on the Island? Do folks rent cars? That’s the easiest way to get around, yes. 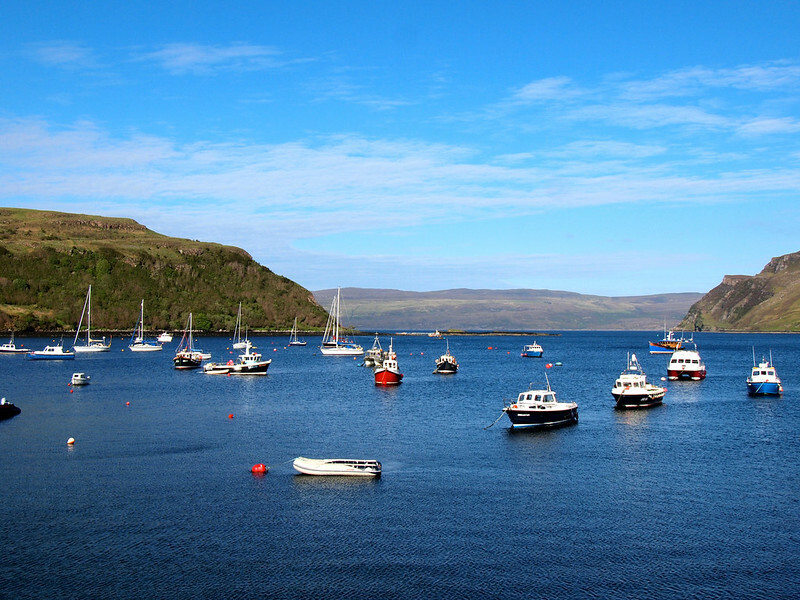 You can drive to some islands (like Skye), and take ferries to others. Hopefully I’ll make it to the Fairy Pools next time! Great article and lovely pictures! I love Scotland and the Isle of Skye! One place you haven’t mentioned is the Museum of Island Living. It’s a great little museum that is set up like a small village. Remote, but worth a visit. What surprised me was that those living on the islands lived like the museum shows up until quite recently. I haven’t been to that one yet, though I’ve been to a similar village museum on another Scottish island. And yes, it’s crazy to think a lot of people lived that way up until the 19050s or so! I came across your post on Pinterest while doing trip research and am so glad I did. We are planning a family vacation to Scotland which will include 4 days on the Isle of Skye. So excited! Ahhh that’s going to be amazing! The Isles are (so far) my absolute favorite part of Scotland. Happy to be able to help with your trip planning! My daughter and I were privileged enough to visit the Isle of Skye in June of ’15. Stayed at a hostel in Portree for a couple of nights.My heart is still there. I cried as our bus drove back across the Skye bridge into Kyle of Lochalsh. It’s definitely a very special place. Words can’t describe how much I agree with you, Akatuki! I was on Skye last summer, for just about a week. I hiked most of the Skye trail in sunshine, gloominess and heavy downpours. I loved each step and filled my memory with the most stunning views possible. I want to go back there to see more and redo some parts, I am not satisfied! It’s a place to visit again and again. It’s a place I could go back to again and again, too! 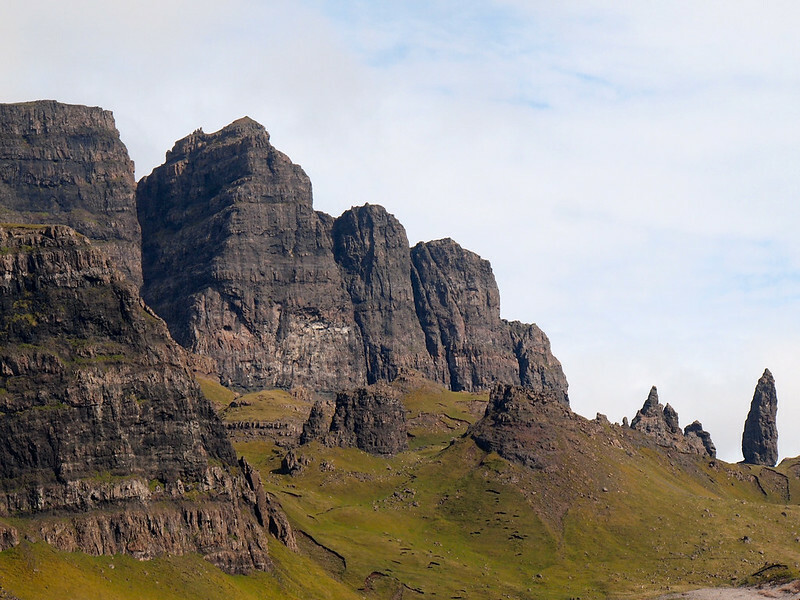 Next time I’d love to rent a car so I can spend more time in certain places and do some hiking (I really want to climb up to the Old Man of Storr!). We have been to the isle of Skye several times and never lose our desire to return again. Love your pictures. If you are in the area again please don’t skip Plockton. It’s just a bit north east of Kyle and I know you’ll love it. If I ever get together with somebody who has been or who is planning a trip to Scotland, I am hard to shut up. I could go on and on. Scotland is actually my favorite place in the world. If dreams could come true I would live there you know wee croft in the middle of nowhere. I would also like to recommend Glendale on the isle of Skye. Made a trip there one time and had the best cullan skink I have ever had. It’s worth the out-of-the-way trip. Happy travels! Great suggestions, and I totally get the whole “get me talking about Scotland and I won’t shut up” thing – happens to me, too! 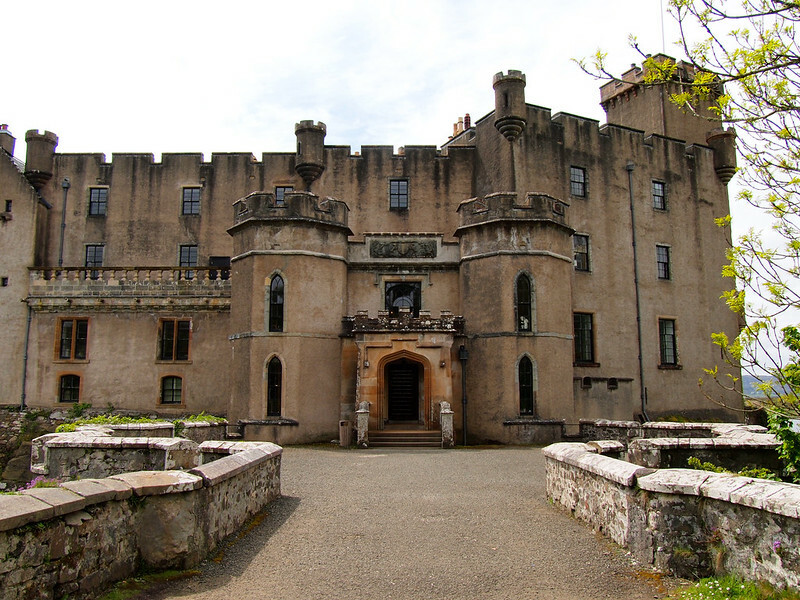 Since my great -grandmother was a McLeod, I was informed by cousins that we had a castle on Isle of Skye — Dunvegan castle!!!!!!! My husband and I traveled to Scotland 6 years ago n took a tour up to skye. When I entered Dunvegan, I felt i was home!!!! The lady at the entrance heard my ancestral story n let me sign the family book!!! Skye is absolutely, positively gorgeous and I want to return to this wild, beautiful land to once again embrace my ancestry!!! Oh wow what a cool story!! I’m sure that’s a trip you’ll never forget! As a Scot who emigrated to Australia in 1958 and never saw much of my country before leaving, it was a special thrill to visit the Isle of Skye a couple of weeks ago. Yes, it was covered in snow but this added to the majesty of the mountains and the icicles instead of waterfalls were particularly enchanting. There is a feeling of vastness and solidity In Skye and although much of the accommodation, camp grounds (for our motor home) were closed, a few hardy souls were still supplying our needs. Skye is a reason to go to Scotland. Skye is definitely a reason to go to Scotland, and I’m glad you got to experience it!